Live large with the super-sized double slideouts with panoramic windows and seating on three sides. Standard LED TV and 30-inch fireplace are included in the 363RL. Cool treats with the optional 10 CU FT 12V refrigerator (shown), or choose the standard 8 CU FT gas/electric. Deep kitchen pantry with tall shelves, and retention lips for secure travel. Exceptional storage is offered by the residential ball-bearing drawer glides with 75-pound capacity. Stainless steel under-mount sink and high-rise faucet with pull-down sprayer. Cooktop offers recessed, three-burner work area with a glass cover, and LED accented oven knobs. Flip-up entry step provides solid footing and folds away neatly. The friction-hinged entry door with grab bar and screen-shot feature eliminates slamming, for safe and easy passage. Power awning with LED lights features a built-in light strip that offers nighttime ambience. Secure storage with the large finished basement pass-through storage with motion light, magnetic catches and slam-latch door. Battery disconnect helps conserve battery life. Backup camera prep makes the Furrion observation camera an easy add-on, and offers peace of mind. 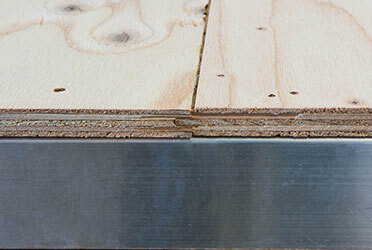 5/8-inch tongue and groove plywood floor decking. Party outdoors with the two standard exterior speakers with LED accent lighting. Fully-heated, insulated and enclosed underbelly! Sportsmen’s Climate Package means added insulation to extend the camping season.